Today’s Friday flowers were a wonderful surprise for my birthday. They were a very happy gift from my sister-in-laws. The colors were so cheerful and the scent added such a wonderful addition to my bedside table. 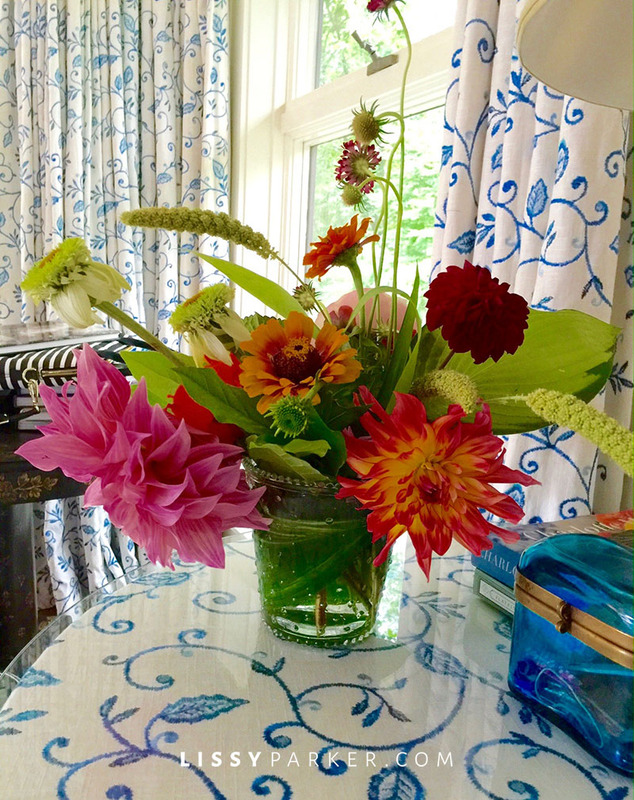 I think you will agree that flowers on your bedside table put a smile on your face in the morning when you wake up—or in my case when the sun comes up and wakes up the puppies. Have a wonderful fun- and flower-filled weekend! Happy Birthday! Adore the beautiful flowers and getting a peek into your fabulous room! Enjoy your weekend!